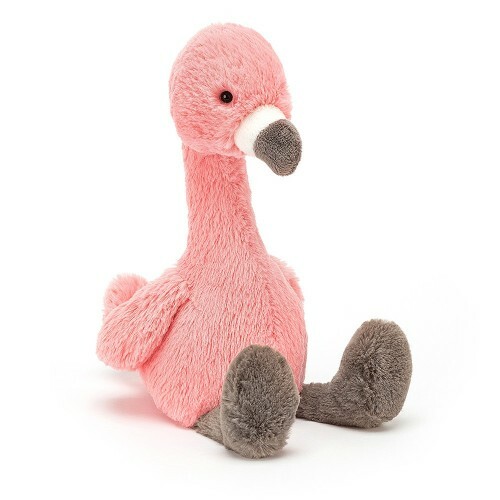 Bashful Flamingo is bubblegum-pink and a very good friend to babies and tots. This bonny bird is soft and squeezable, with a long, stand-up neck, tufty tail and nuzzly mocha feet and beak. Take this winged wonder to the park or the pond and watch the world flap by.